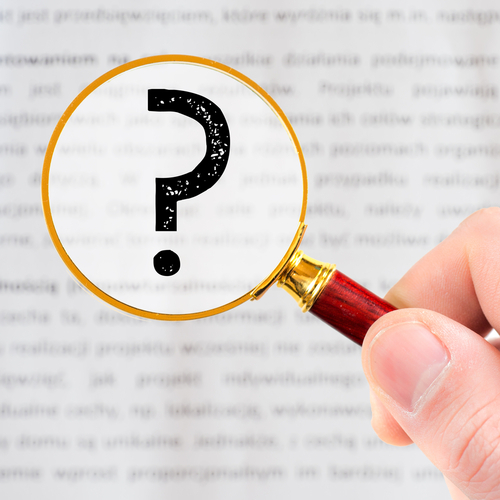 Are Open-Ended Questions Qualitative Research? Many researchers refer to the responses to open-ended survey questions as qualitative research. But are they truly qualitative? Qualitative research is primarily exploratory research to gain an understanding of underlying reasons, opinions, and motivations for consumer behavior. It can also provide insights into the research problem or develop hypotheses for testing in subsequent quantitative research. Qualitative data collection methods use unstructured or semi-structured question techniques, including focus groups discussions, individual interviews, and participation/observations. The sample size is typically small, and respondents are selected to fulfill a given quota. Qualitative research results cannot be projected to the entire population, but represent only the opinions of those respondents included. Quantitative Research, on the other hand, is used to quantify the problem, to generate numerical data or to provide data we transform into usable statistics. It is used to quantify attitudes, opinions, behaviors, and other defined variables – and to generalize results from a larger population. Quantitative data collection methods include various forms of surveys – online surveys, telephone interviews, longitudinal studies, etc. Open-ended questions cut down on two types of response error. First, respondents are not likely to forget the answers they have to choose from if they can respond in their own words. And second, open-ended questions do not allow respondents “fill in” the survey with all the same answers (without reading the question and responses thoroughly). Open-ended questions allow respondents to include more information, such as feelings, attitudes, and their understanding of the subject. Closed-ended questions, because of the simplicity and limit of the answers, may not offer the respondents choices that reflect their real feelings. Open-ended questions give respondents the opportunity to explain if they do not understand the question or do not have an opinion on an issue. Open-ended questions may yield more candid information and unique insight for researchers as respondents may find them less threatening than scaled questions. If your respondents are not adequately literate, or if they do not find writing or typing a comfortable way of expressing themselves, the answers may be very minimal and may not give the necessary or expected insight. Respondents may perceive open end questions as taking too much time or requiring too much effort to answer, causing them to give a brief, unfulfilling answer. Open-ended questions that are too leading or vague may raise a red-flag for the respondents, causing them to give misleading information. Additionally, if the open-ended questions are irritating or offensive to respondents, they may break off and choose not to complete the survey. Therefore, while open-ended questions have their role in quantitative surveys, they don’t take the place of qualitative research. Indeed, the balance of open and close-ended questions in quantitative research should be evaluated carefully to ensure high-quality results. And while they can give additional perspective to the close-ended (scaled) questions, they don’t provide the full, rich topic exploration delivered by qualitative methodologies. So let’s keep qualitative and quantitative separate: open-ended questions do not yield qualitative research insights, but can significantly enhance the insights gained from quantitative studies.